Zhejiang Maili Mechanical and Electrical Co.,Lta.was established in 2003(the formername is Rui'anMaili VT Motor Co.,Ltd. )locating in Rui'an City ofZhejiang Province which features developed industry.The company is devoted to the R&D,manufacturing and sale of driving equipment,and the main products include:parallel axisseries VT AC reducer,rectangular axisseries VT AC reducer,CH/CVseries small reducer,high efficiency and high precisionseries Planetary reducer,MLF3hypoidseries reducer and ACseries common motor.The products are widely applied in the fields such as financial machinery,food packaging machinery,printing machinery,office machinery,livestock machinery,medical machinery,advertising equipment,electronic instruments and dimensional garage.The products have passed the China Compulsory Certification(3CCertification),European Union CECertification,ISO9001:2000 Quality System Certification,stereo garage special equipment certification and so on. 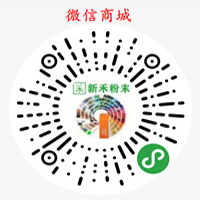 Adhering to the principle of"high technology,high quality and high reputation",our company has been dedicating self R&D all the time. We warmly welcome the friends at home and abroad to our company for visiting and guidance,and Maili people are looking forward to shaking hands with you,and creating brilliant and bright future together.